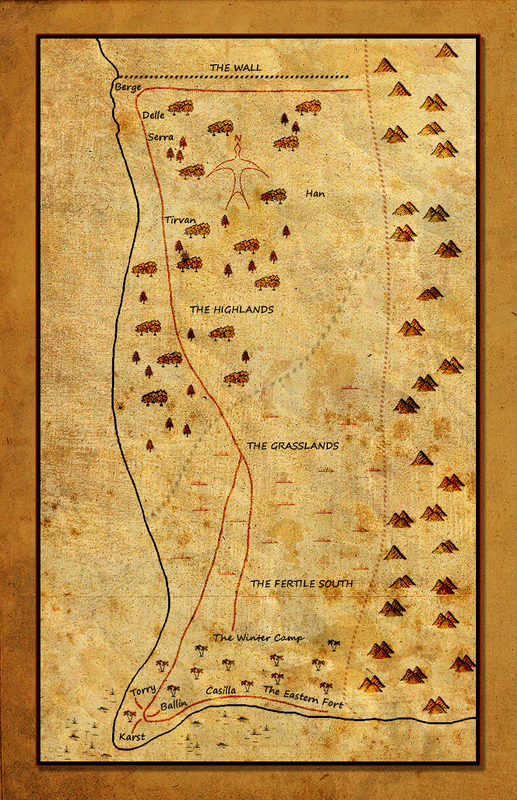 Here’s a map of the lands known as ‘The Empire’. It’s perhaps 800 miles north to south, two hundred and fifty miles across. Two hundred thousand square miles in area – twice the size of the UK, about the same as France, half the size of Ontario, just a bit bigger than the Dakotas. Note that the villages of Delle, Serra and Tirvan are shown in relation to the Road, but actually are on the coast below the Road.